According to Gulf News, e-Commerce has become a flowing stream of revenue for businesses and by 2018 eCommerce sales in the UAE will reach $10 billion (Dh 36.7 billion). Your business deserves a piece of the pie! With a comprehensive eCommerce SEO strategy and campaign your business can compete in today’s eCommerce market. At WebQuest SEO, we analyze relevant keyword data based on search volumes, website relevancy, and competitive value. We use this valuable data to create a targeted strategy based on the functionality and design elements for every page of your website. Search engines are interested in more than backlinks, website content, and keywords. Those search bots also crawl through front-end code structure to collect data for ranking algorithms. 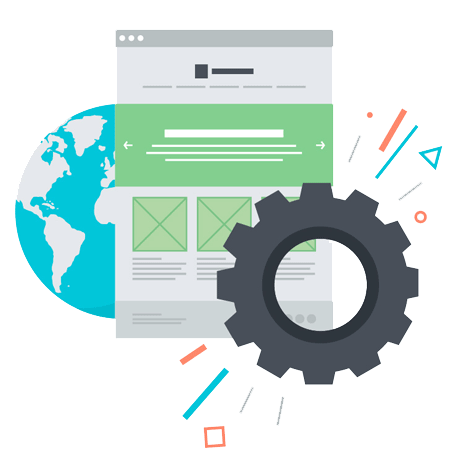 To create fully optimized websites, our SEO experts also utilize the proper HTML tags for title, description, headers, images, alt tags and links for every page of your website. Even the simplest website has hundreds of elements that need to be optimized. That’s where the SEO experts at WebQuest come in. We have proven strategies that will increase rankings for categories and products, creating online sales and new customers every day. Our eCommerce SEO experts will analyze your SEO keywords and all other onsite elements to determine which are converting the highest. Through analyzing your Analytics we will not only determine which keywords are converting, but we will also determine where bottlenecks or gaps are occurring. This allows our SEO experts to address any issues that may be hindering your conversion rates, extinguishing the problem and paving the path to higher rankings and traffic. Once we take an indepth look at your Analytics we will provide custom reporting that is designed to keep you informed of exactly how your strategy is working in the real world. If at anytime we need to tweak or change something, we will. It’s that simple. We are here to help you see results and growth! When it comes to developing an eCommerce SEO strategy, an eCommerce design, or an eCommerce redesign, you need a partner that is focused and experienced in providing your organization with the best in professional eCommerce web solutions. Our full-service approach allows us to ensure your overall success. We’ve worked on a variety of eCommerce projects within many different markets and industries. Our SEO experts have the knowledge and experience that it takes to generate sales. Why follow when you can lead the way? Our comprehensive approach to SEO strategy will help to secure your place amongst the highest ranking businesses in your market. If you’re to take you business to the next level, improving traffic and boosting sales, we’re ready to help. Contact us today.